Hi to all fellow VDI peeps. This week VMware released a load of new EUC updates. Will put up the upgrade guides for the products below and starting with Horizon View. 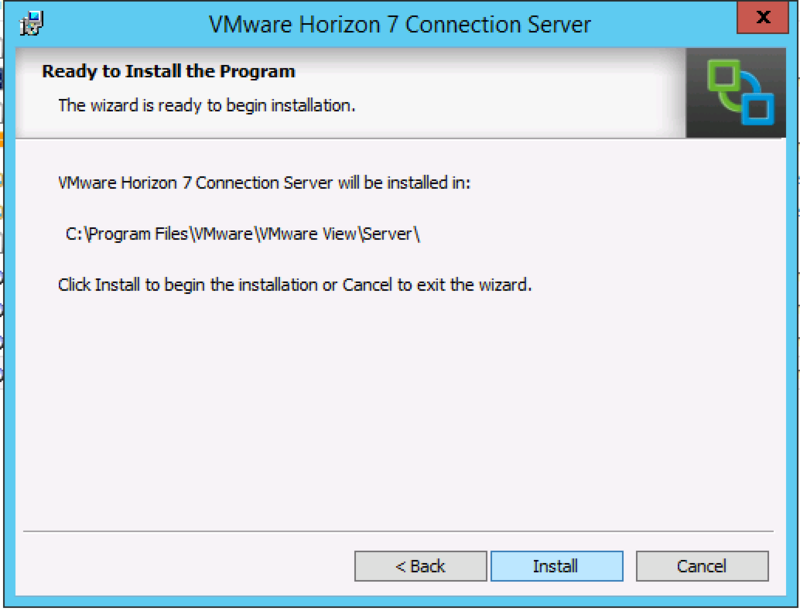 Here i will show you how to upgrade your current Horizon View 6.X to 7. Best is also to stop current running pools and provisioning just in case. Create a REAL Backup or if you don’t have Veeam or something else, a snapshot. While your at it, update your machines with the Windows updates. 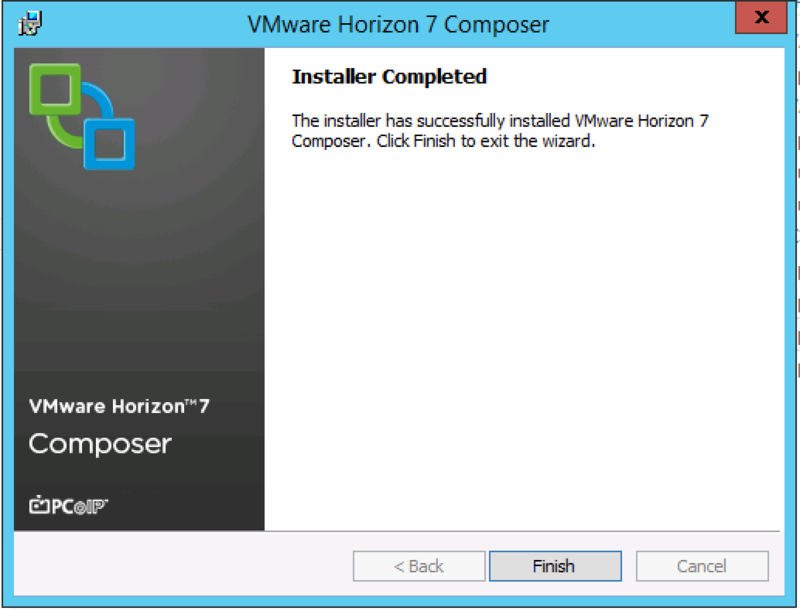 Log in to your Composer Servers and start the installer. Select your installation directory and click next. Enter your database information and click next. On this stage you choose use existing certificate. If you did not.. read below how to fix this. Review your setup and click install. And your done! click finish and reboot. Login to View Administrator and check if it’s up. Now hop over to your your Connection Servers. 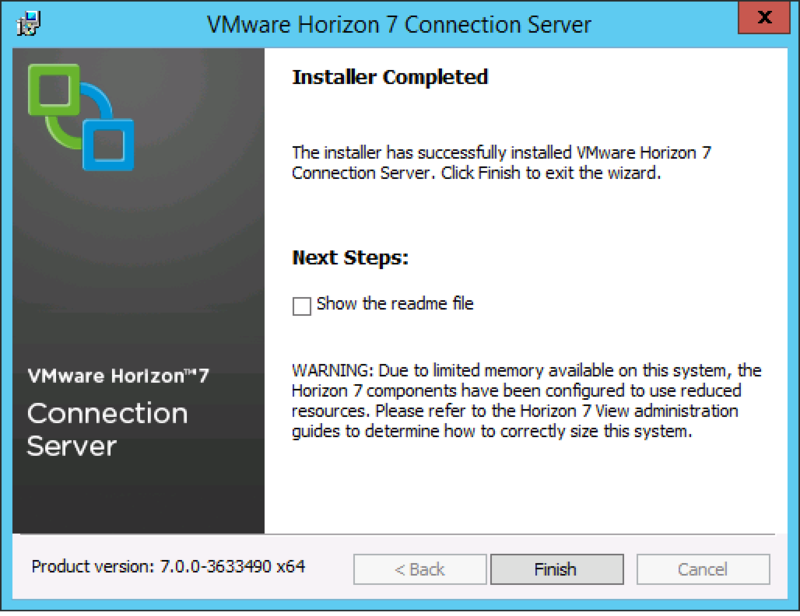 Stop the VMware Horizon View Connection Server proces in services before you start. Again accept the agreement or don’t 🙂 and click next or cancel. For now choose next. The upgrade will now start, sit back and wait. And your done, click finish. Now hop over to your your Security Servers. This is also straight forward, in my lab i do not run a Security Server but the process of upgrading is the same! Start installer, Agree, Next, Next and Finish! Log in to your View Administrator page now and check if all is ok. In my case, it broke. Use either localhost or the URL from the Secure Tunnel URL field on the connection server configuration. 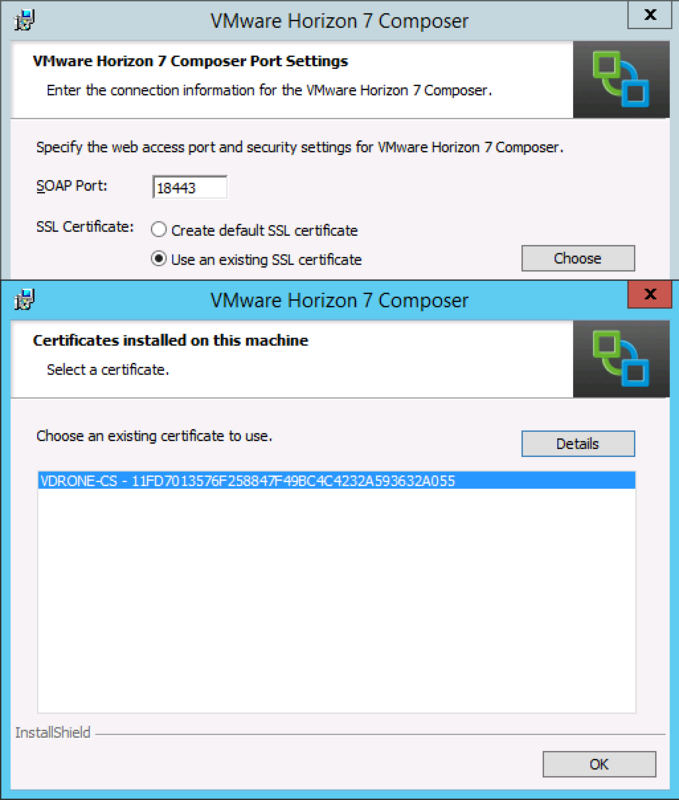 For each connection server create a text file named locked.properties in C:\Program Files\VMware\VMware View\Server\sslgateway\conf. Open the locked.properties file in a plain text editor. 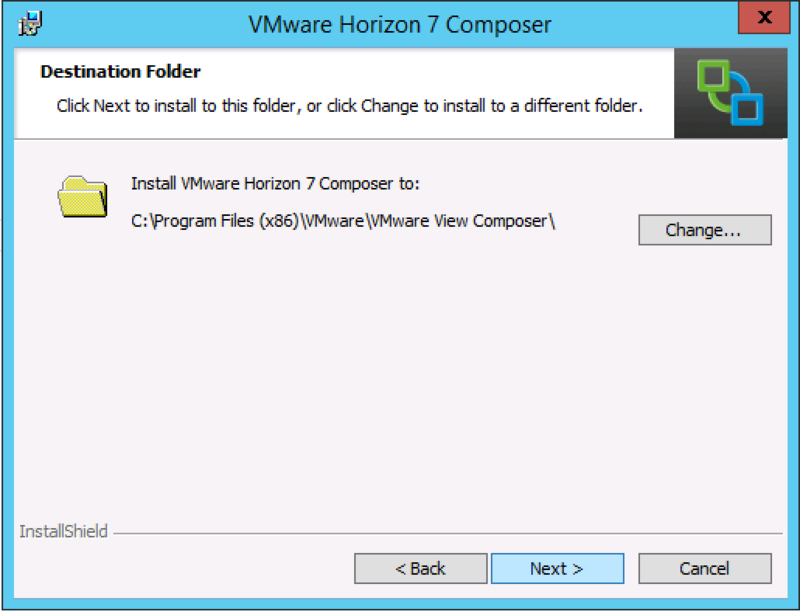 Open CMD and change directory to the Composer installation directory. TLSv1 has to be enabled on the connection server and if you have one, the composer. Here we just have a connection server so let’s dive into ADSI Edit and change it. This Fix is provided by Rob Beekmans! Expand the ADSI Edit tree, expand OU=Properties, select OU=Global, and double-click CN=Commonin the right pane. Now update all your templates with the new agent and update your pools. Be aware that the Connection Server for View 7 has higher ram needs. If you run this puppy on 4GB ram performance will be degraded. Broker vDrone-VCS.vdrone.local has been detected as being configured with a small amount of physical memory. Please refer to the View Installation Guide. “Failed to connect to the Connection Server” when loading HTML access with External VIP, but only from Chrome. Items to watch out for when you install or upgrade to Horizon 7 version 7.1 from View 5.3 or later. 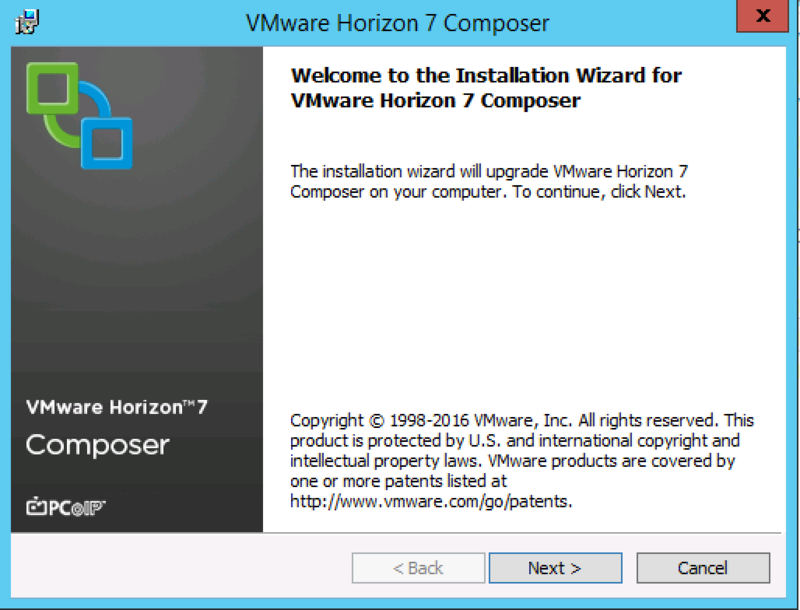 If you are upgrading from Horizon 6 version 6.2.x to Horizon 7 version 7.1, you already should have taken these configuration steps. Use these notes to review your setup. 1) You must open port 4002 in your back-end firewall to allow security servers to communicate with View Connection Server in the new enhanced message security mode. 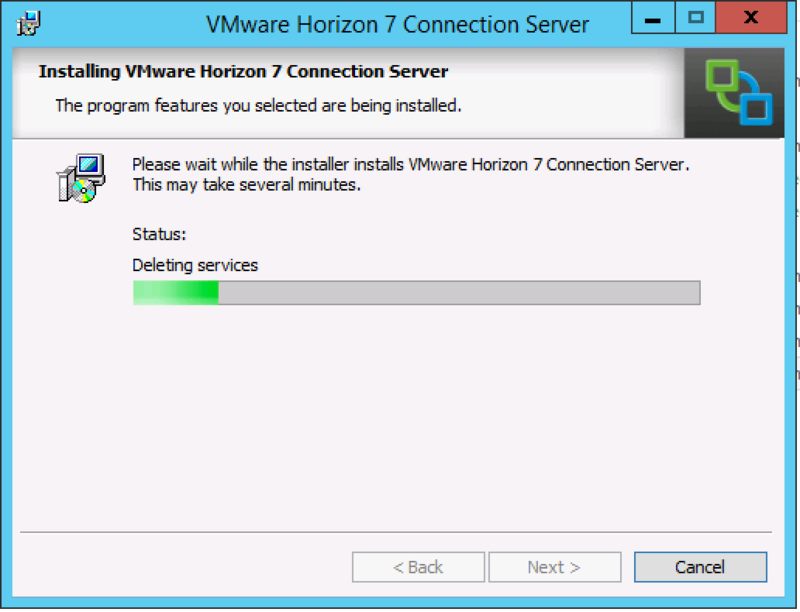 If you perform a fresh installation of Horizon 6 version 6.1 or later, enhanced message security mode is enabled by default. 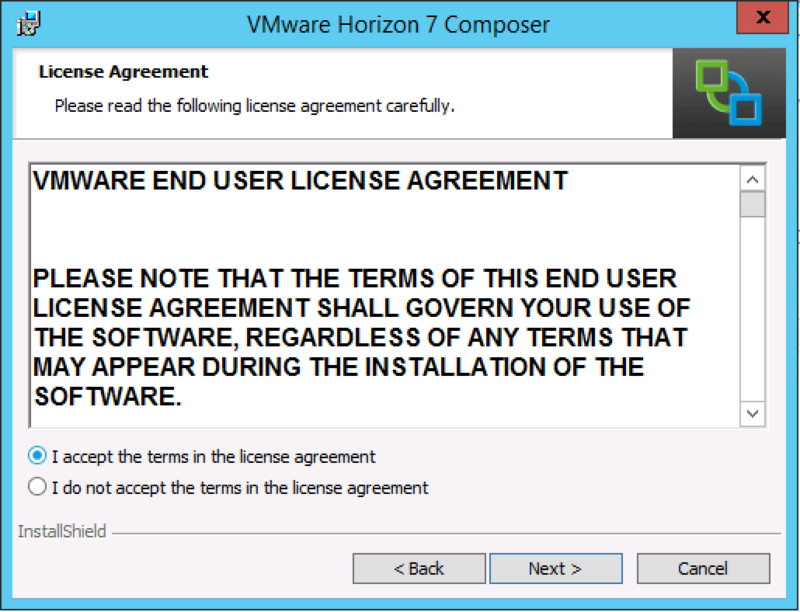 If you upgrade to Horizon 6 version 6.1 or later, the pre-existing message security mode is retained. To enable the enhanced mode after an upgrade, you must change the Global Setting in View Administrator. 2) You cannot deploy desktop versions earlier than View Agent 6.1 after enhanced message security mode is enabled. 3) View supports IPv6 as an alternative to IPv4. When you install your View components, select IPv4 unless you have a working IPv6 environment. A mixed IPv6 and IPv4 environment is not supported. If you inadvertently configure a mixed environment, clients will not be able to connect to View Connection Server, remote desktops, or applications. Only fresh installations are supported in an IPv6 environment. Not all features that are supported in an IPv4 environment are supported in an IPv6 environment. Read the IPv6 topics in the View Installation guide if you plan to run View in an IPv6 environment. After upgrading, I can’t re-enable provisioning or access to any of my pools. I’ve got 2 connection servers, 2 security servers, and a standalone composer server. All have been upgraded to version 7, but I can’t get anything working. I’m getting complaints about self signed certificates that I’ve never seen before the upgrade. Any ideas on how I can get my pools back up? 1. Stop the Composer service. 2. 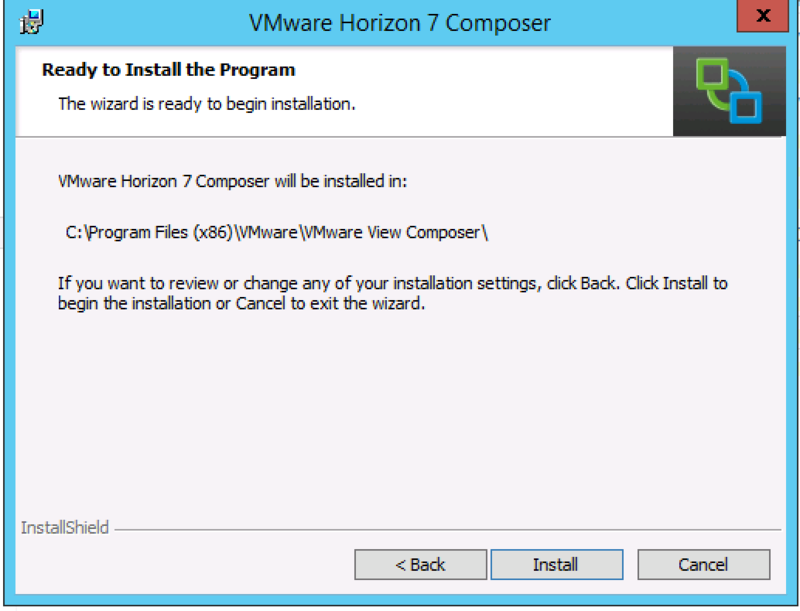 Open CMD and change directory to the Composer installation directory. 5. Start the Composer service. No. I did that. 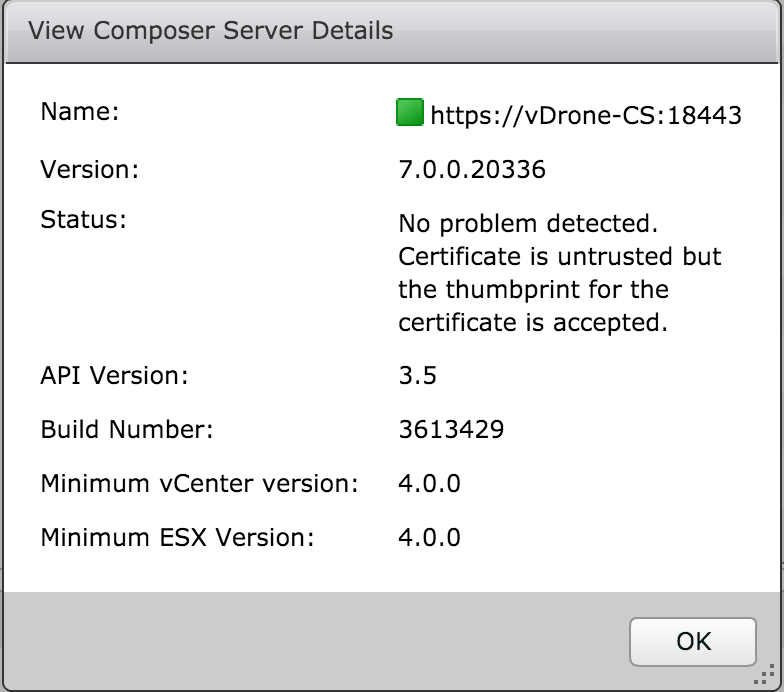 It looks to be related to vCenter certificate, which hasn’t changed from view 6.x. What do the certificate errors look like and where do you get them? any specific errors in the logging on those systems? System Health dashboard all green? 100% correct. I found that the other day and applied the changes with success. Thanks for updating me still the same! It was a huge pain to track down. Yeah wasn’t sure what it was with the info given:) glad you got it fixed! Any suggestion for ” The required user doesn’t have the correct Directory Services rights, ensure the user does” etc etc… When attempting to upgrade the connection server? 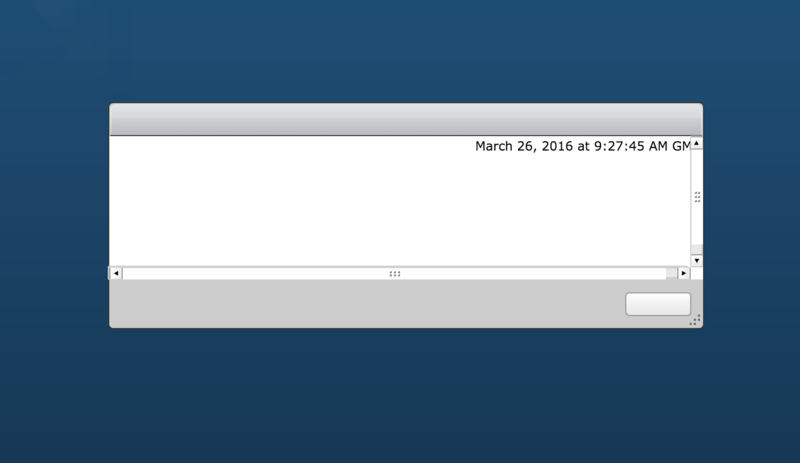 The user I ran it with has full admin… So I’m at a loss??? Did this user also install the connection server? Is this a local admin or a domain admin? 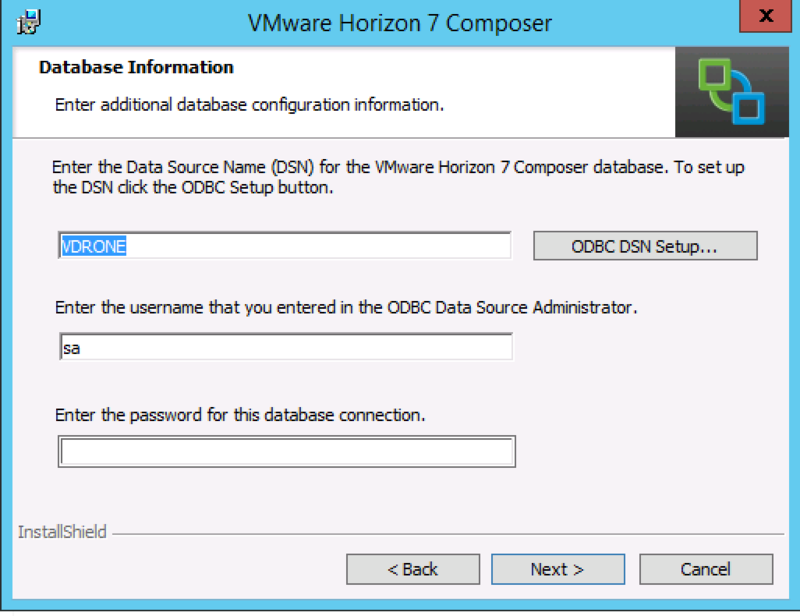 Hi I have My home lab with a DC My Vcenter Server 6.0 horizon view 6.0 and my Vshpere is 5.5 can I add and another connection server with horizon view 7.0 instead to do the Upgrade it will work ? Please let me know also if you provide support remotely thanks. You can only add a replica server but you probably need to upgrade to 7 first before you can add one on version 7. Updating from 6.0.1 and all the pre-reqs seem to be met. I follow your instructions and right after the AD.ldf steps Java SE crashes and then the install goes into a rolling back. I can get the install to finish by removing the old jre directory but then admin console will not open. I do have a self signed cert but what am I doing wrong here. Tried with different accounts.. local and domain both were in the local administrators group ?? 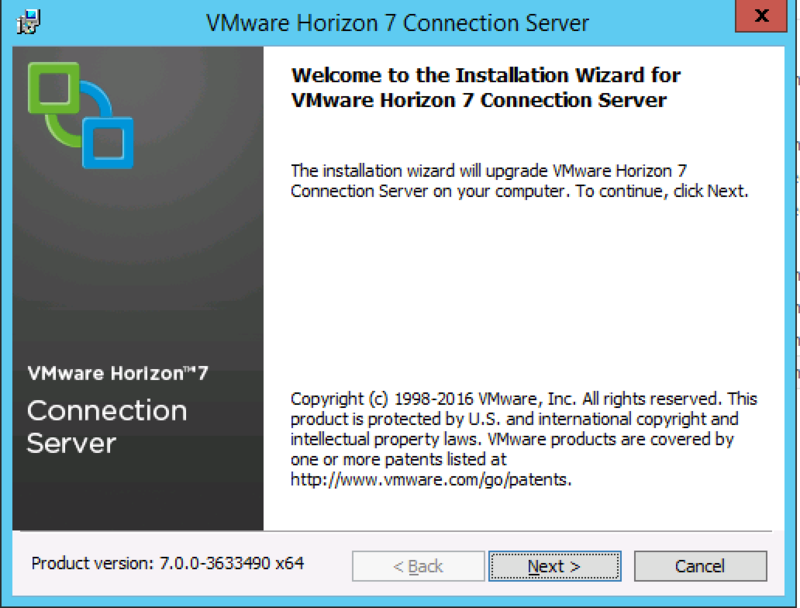 I have a question regards to view upgrade from vmware view version 5.1 to 7.x? is it officially supported by vmware?